The mission of Physics of Living Systems @ MIT is to advance our understanding of living systems across scales and to train the next generation of leaders pushing the forefront of research at the interface of physics and biology. 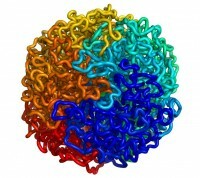 PLS brings together biophysics and soft matter researchers from across the Department of Physics at MIT. Research is conducted in eight different groups that include a total of over 70 scientists, as well as by the PLS Postdoctoral Fellows, a group of independent researchers working alongside and contributing to the PLS community. Periodic PLS short talks Fridays at 4pm. Opportunity for graduate students to earn a Graduate Certificate in Biophysics. Annual overnight retreat on Cape Cod. Undergraduates interested in biophysics are encouraged to consider the flexible option within the physics degree. This can be essentially a make-your-own biophysics degree; a possible four-year class schedule is available here. * James Pelletier - "Division of artificial cells. Part 1: JCVI-syn3.0, a genomically minimal cell. Part 2: Xenopus egg extracts, in vitro cytoplasm."